It has gone through (I don't know how many) different revisions. 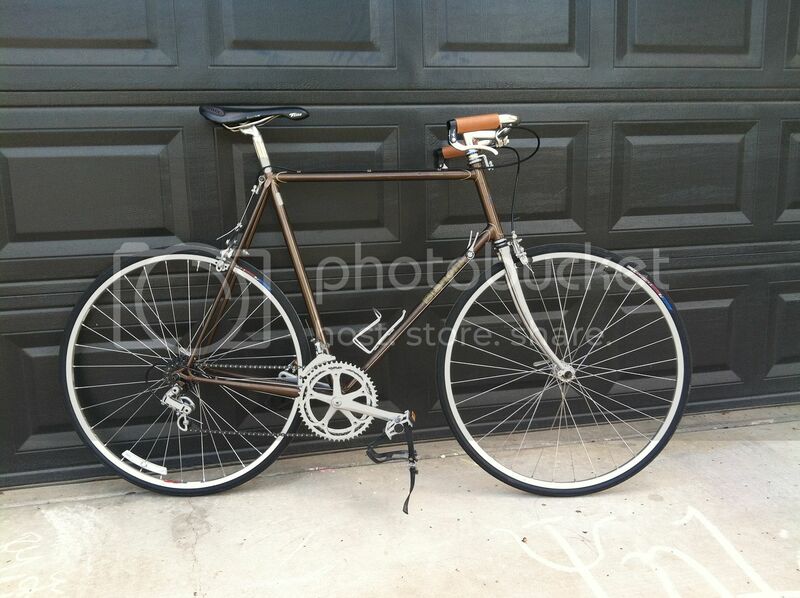 The last one included a carbon fork, new wheels, and Brifters. It was awesome...rode it comfortably on a century and was passing others on their plastic fantastic bikes. Fast forward...I fell into an unbelievable deal on a (might as well have been) new Felt. 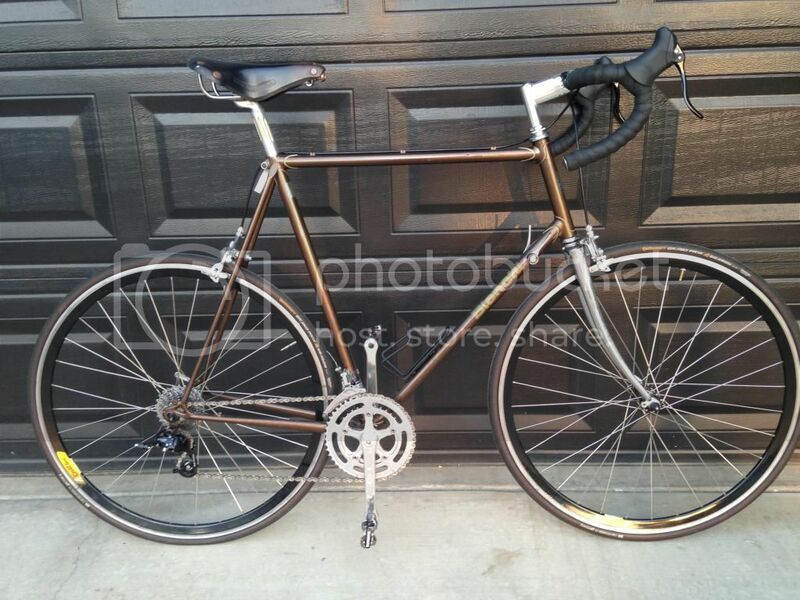 Bought it and parted out the Bianchi (kept the frame and fork) to help pay for it. Fast forward...I have decided to rebuild the Bianchi. 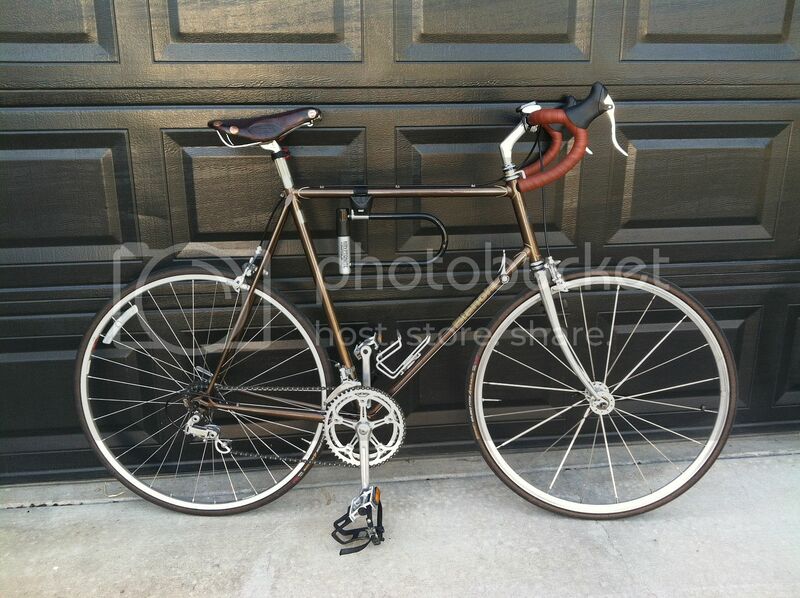 Found a great deal on a grupo, found a good priced and condition cassette, some pedals here, a saddle on eBay, etc etc. Long story short...stuff is en route on its way to me. This time, I will build it the way I want and keep it. Regardless of what other bikes I have. Anyone else been through something like this? Enjoy your re-build and it would be nice to see some photos. Are you planning on replacing the carbon fork with the original one? My Team ADR Bottecchia was originally built with a full Ultegra group that I was selling. Built it because the group did not sell and then just weeks later it sold. 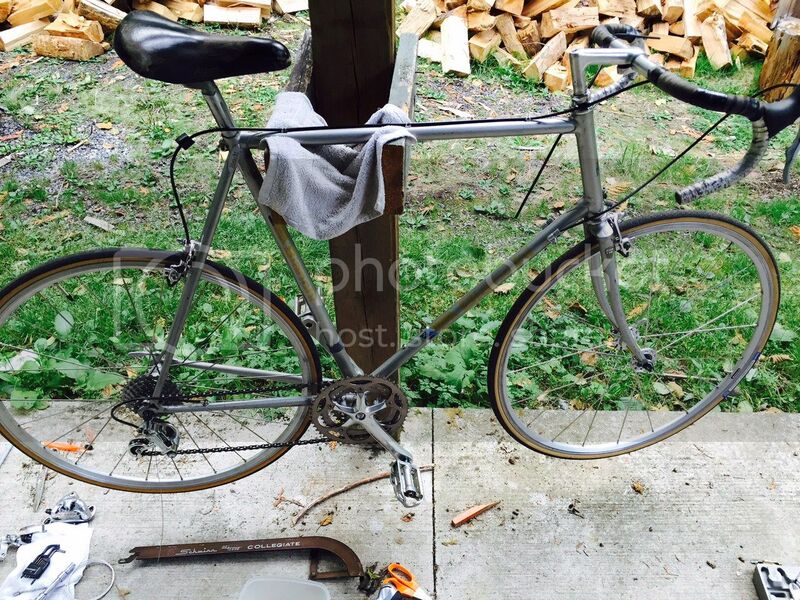 Later built it with a mash of Shimano Tiagra brifters and 105 Derailers and a Sugino crankset. Friend wanted a build-up of a frame he got so that stuff was moved over to his bike. Now I just finished building it up full Campy Veloce. For me I latch onto a frame/fork and it becomes the keeper - the build can change from time to time and that is fun! Essthreetee, glad you kept the Bianchi frame around!! Post some pics when you can please! Older frames tend to be better than period-correct components, which is why we have an entire thread devoted to classic lugged steel frames with modern components. 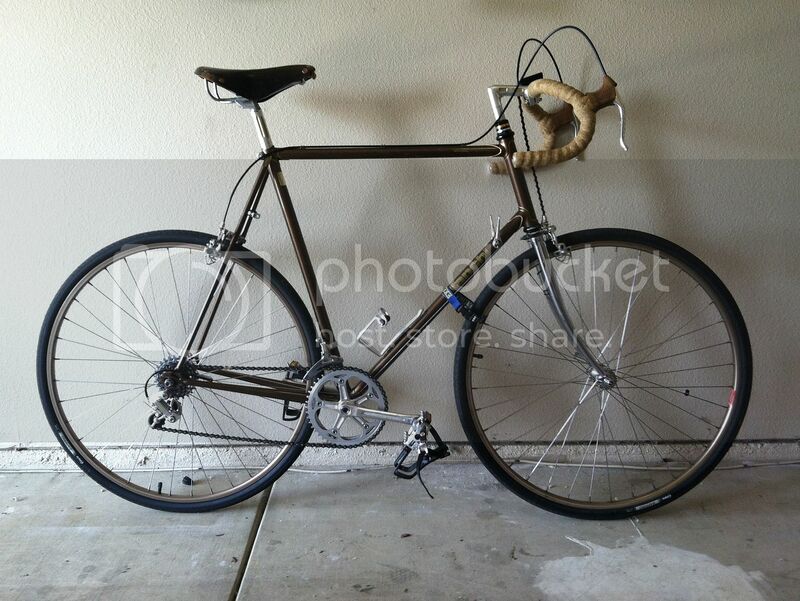 I am glad you kept the Bianchi frame -- my Bianchi from about the same period is definitely a keeper. my 89 CDI has been done the same way. It by the way is one of the keeper frames that got changed out but will never leave me. First time was with GPM post San Marco Rolls Cinelli cockpit Ambrosio rims laced to Ofmega hubs with a Suntour sprint 9000 drive train. Loved it. Frame stripped to make moving easier and when built up the second time went full Shimano 105. Loved it. Shimano moved to another keeper Gazelle while the Bianchi is getting another round of Suntour, Campag, Ambrosio, Rolls and Cinelli bits. Will undoubtedly love this 3rd round as well. As said, some are keepers and they get dressed a few times. It' all fun. Kinda. 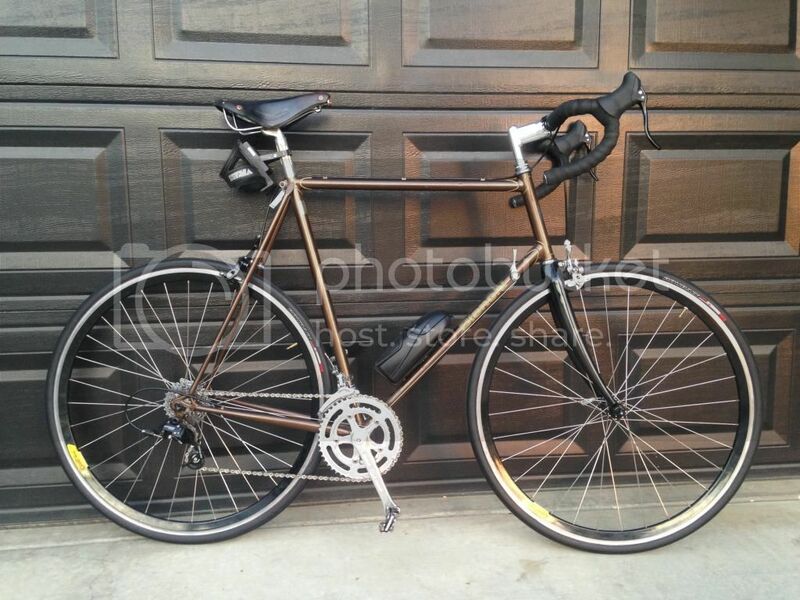 My Bianchi Limited came back to me half price after I sold it last spring. I sold it because I had too many similar bikes and a couple tentative builds I did on it previously were pretty "meh," as is the dinged-up boring silver paint job. Now it's haunting my carport waiting for me to decide which way to go with it. 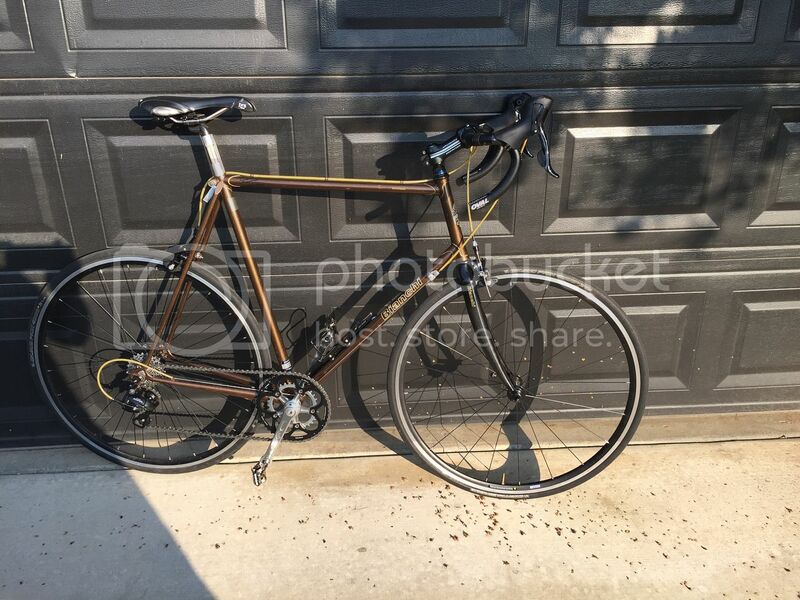 2x8 STI build with the 6400/600 brifters I took off another bike? 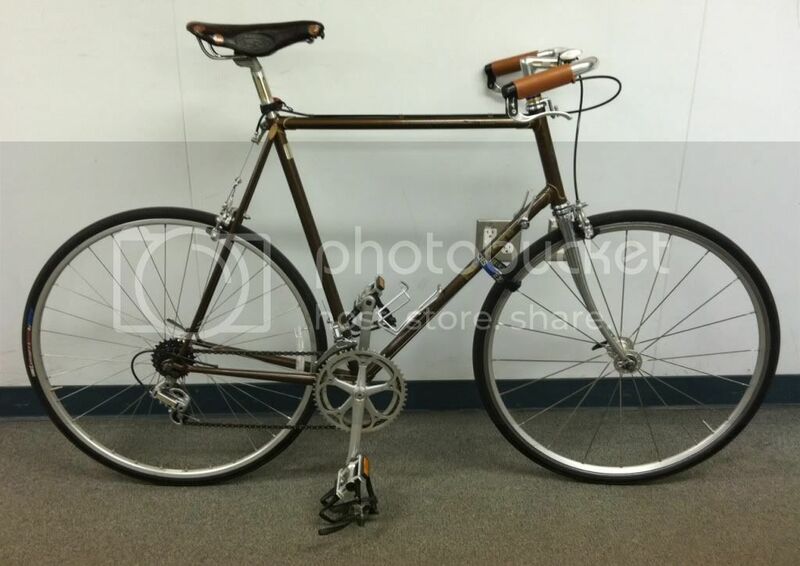 Maybe 1x8 (or 1x9) friction with a chain guard, fenders and a really wide range cogset on back? I'm surprised my wife hasn't complained yet, it's been sitting there in the same spot for at least three weeks. 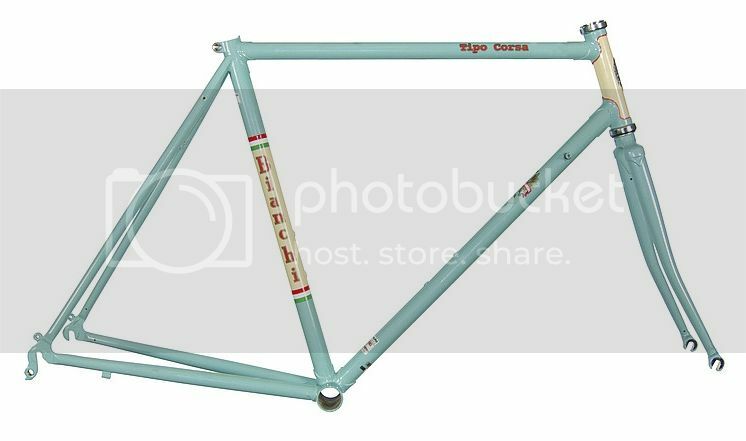 Bianchi Tipo Corsa paint scheme? Plain celeste? Something else? Last edited by Lascauxcaveman; 10-14-15 at 03:09 PM. That was just a little picture collection of the different changes it has gone through. From thw the very first bike I ever put together...to where it is today.